Politicians' wives -- they're just like us. 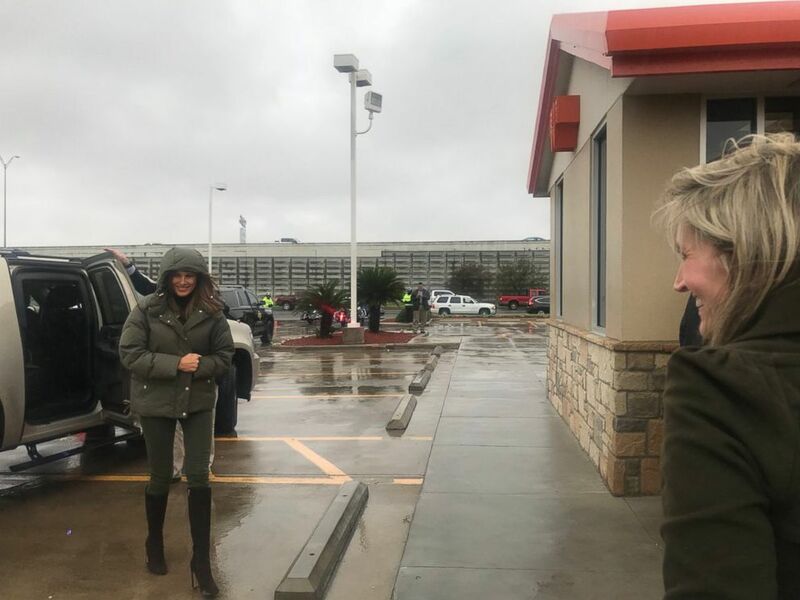 First lady Melania Trump and second lady Karen Pence -- along with their motorcade -- needed their fast food fix Wednesday while in Corpus Christi, Texas, so they made a pit stop at Whataburger. "On our way out of town, @FLOTUS & @SecondLady decided to stop in to @Whataburger for some lunch! The American chain opened its 1st restaurant in Corpus Christi, TX in 1950!" tweeted Stephanie Grisham, Mrs. Trump's director of communications, along with a photo of the women ordering their lunch. First lady Melania Trump at a Whataburger in Corpus Christi, Texas, on December 6, 2017. 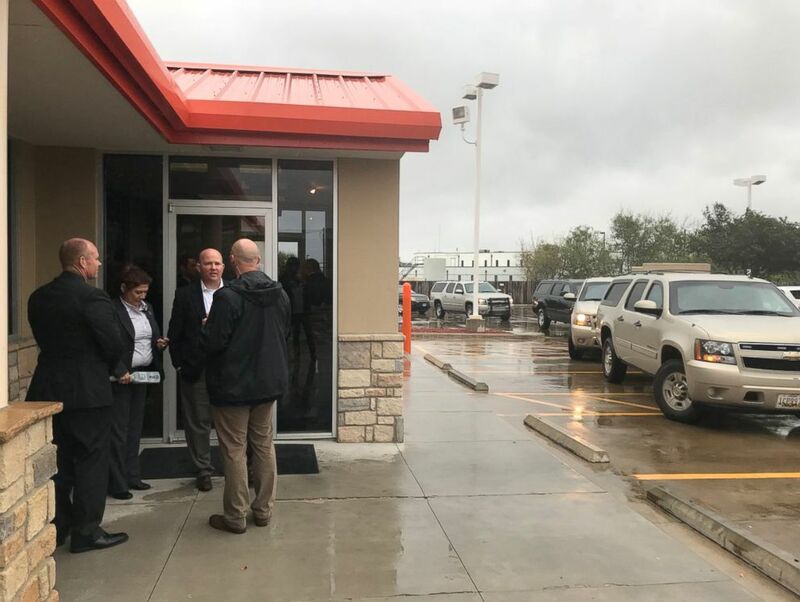 Secret service wait outside a Whataburger in Corpus Christi, Texas, on December 6, 2017, while first lady Melania Trump and second lady Karen Pence order inside. While Mrs. Trump and Mrs. Pence, who were with Gov. Greg Abbott's wife Cecilia, stood at the counter to place their order, Secret Service personnel stood outside. Gov. Abbott, tweeted, "Looks like @FLOTUS is Texas savvy. She & Karen Pence dined at @Whataburger today with my wife the First Lady of Texas. 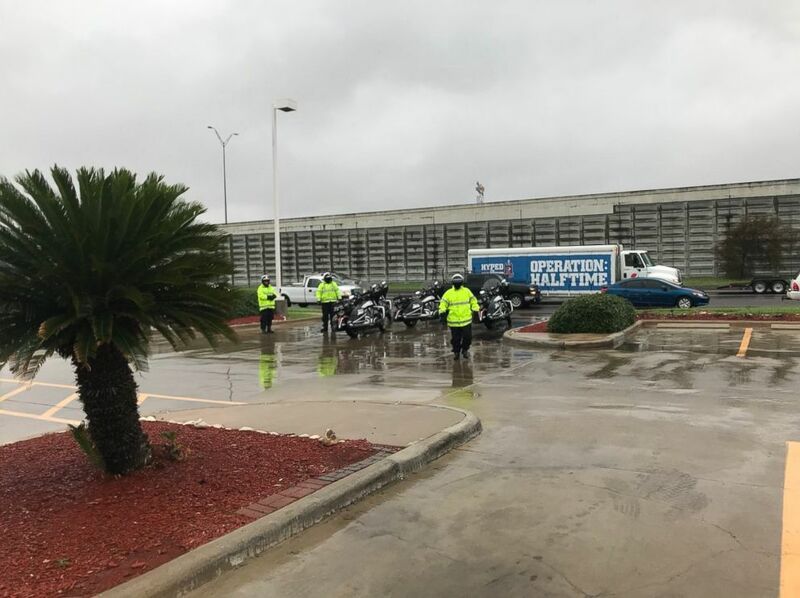 They are here for ongoing help for #HurricaneHarvey. @TexasFLCA #txlege #TexasStrong." 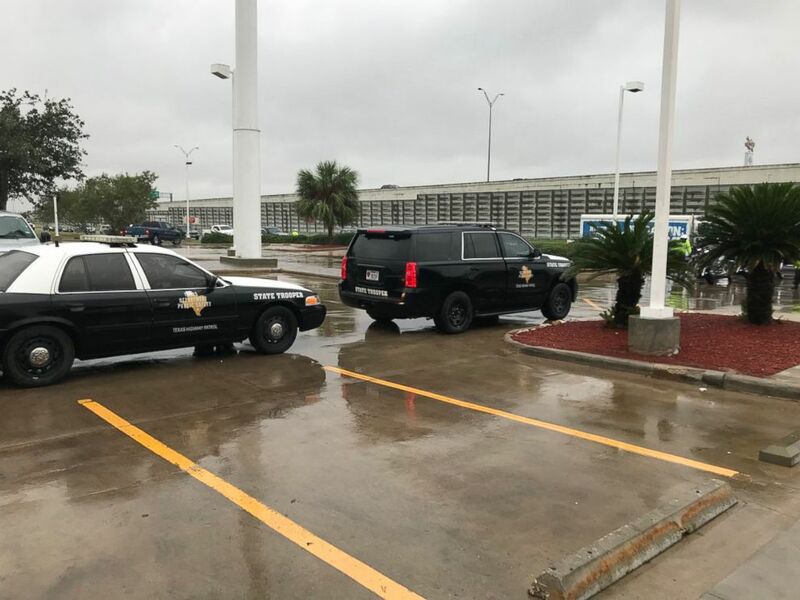 Police wait outside a Whataburger in Corpus Christi, Texas, on December 6, 2017, while first lady Melania Trump and second lady Karen Pence order inside. Their visit caught the attention of Whataburger, which tweeted, "Hope it was a great meal! Thanks for stopping by." Even the Corpus Christi Police Department took notice, tweeting, "@Flotus knows a good burger @Whataburger." And J.R. Hernandez, the chief of staff for Texas Land Commissioner George P. Bush, tweeted photos from the outing, writing, "@FLOTUS @SecondLady @TexasFLCA @georgepbush obligatory stop at the best burger in America: @Whataburger"
Mrs. Trump and Mrs. Pence spent the day in Corpus Christi meeting with first responders who worked on the Hurricane Harvey relief effort. They also traveled to Rockport, Texas, to meet with a family whose home was destroyed in the storm. They also visited the family’s new Manufactured Housing Unit, provided by FEMA, which will serve as the family’s temporary residence until they can move into a new, rebuilt home. The women also visited an elementary school and food bank.